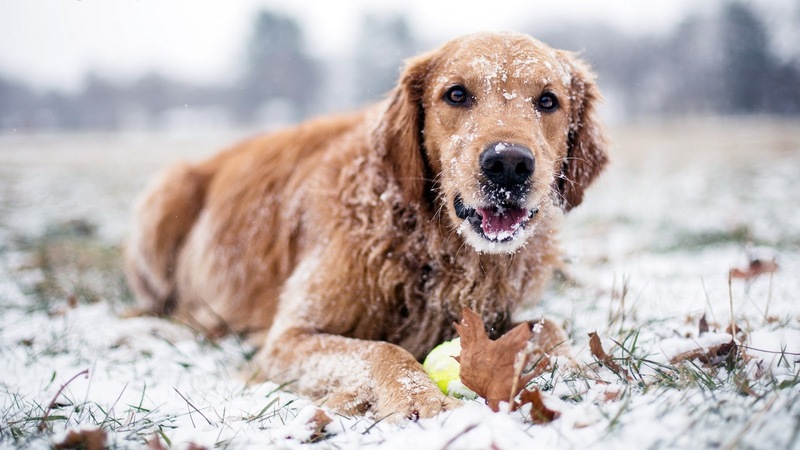 Companion Animal Hospital Blog: Fleas and Ticks in the Winter: Frozen or Flourishing? Fleas and Ticks in the Winter: Frozen or Flourishing? After the first frost of the season, it may be tempting to skip Fluffy’s dose of flea and tick prevention, but contrary to popular belief, fleas and ticks can still be a threat in the winter. Although near-freezing temperatures will kill adult fleas living outdoors, not all fleas will die in the winter. Fleas can survive outdoors in temperatures as low as 33 degrees Fahrenheit for up to 5 days, long enough to latch onto your dog, enter your home, and find a warm place to hide out for the winter. Without a proper dose of flea and tick prevention, that flea can go on to continue its life cycle in your home. In fact, one single adult female can lay as many as 50 eggs per day. As your dog shakes, scratches, or lies down throughout your home or yard, those eggs disperse and hatch into larvae that can hide in your furniture before finally maturing to adults and leaving your dog (or even you) scratching uncontrollably. Unlike fleas, however, ticks can actually survive freezing temperatures. Most ticks will find shelter in leaf litter and lie dormant during the winter months. However, certain species of ticks such as the deer tick (the tick that most commonly transmits Lyme disease) are actually at their most active stage from October to February. Skipping flea and tick prevention for the winter gives those ticks opportunity to transmit potentially fatal diseases to both you and your pet. So while it may be tempting to forego Fluffy’s flea and tick prevention this winter, it is in your pet’s best interest to continue flea and tick prevention year around and with many different flea and tick preventatives on the market, it is easier than ever.